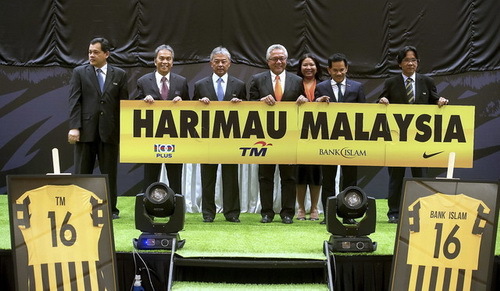 SEPANG, Nov 21 (Bernama) -- A win against Myanmar is all important for the Harimau Malaya (national squad) in their opening match in Group B in the Suzuki AFF Cup 2014. KUALA LUMPUR, Nov 20 (Bernama) -- Sam Gilmour of Neptune Racing extended his winning streak in the second day of the Monsoon Cup held in Pulau Duyong, Terengganu which was halted due to heavy rain and strong wind reaching up to 16 knots. PUTRAJAYA, Nov 20 (Bernama) -- Preparations for the prestigious Le Tour de Langkawi (LTdL), has picked up pace under a newly appointed race organiser, Human Voyage Sdn Bhd. 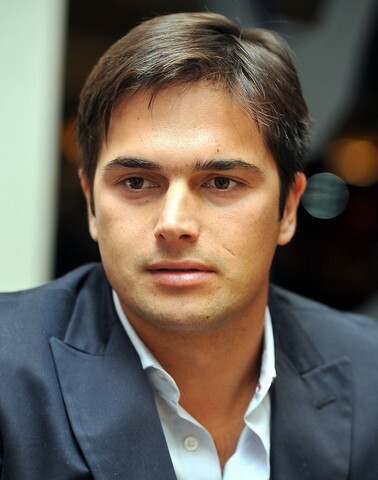 KUALA LUMPUR, Nov 19 (Bernama) -- China Racing Formula E Team driver Nelson Piquet Jr intends to notch another strong performance in the upcoming FIA Formula E Championship (ePrix) in Putrajaya on Saturday. 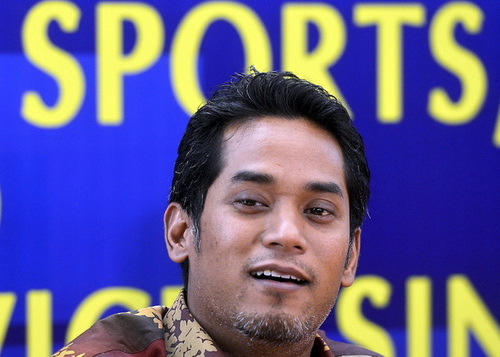 KUALA LUMPUR, Nov 18 (Bernama) -- About 100,000 Year One students from 1,500 schools throughout the country are expected to be screened for their skills under the sports Talent Identification Programme (MyTID) said Youth and Sports Minister Khairy Jamaluddin. PUTRAJAYA, Nov 13 (Bernama) -- There is no necessity for top sports lawyer Mike Morgan, who will be mitigating Datuk Lee Chong Wei's doping case, to come to Malaysia although the date for the case is fast approaching. 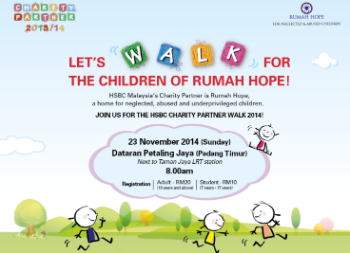 HSBC Walks For The Children of Rumah Hope! PETALING JAYA, Nov 13 (Bernama) - HSBC Bank Malaysia Berhad (HSBC) will be organising its annual fundraising programme, the Charity Partner Walk 2014 on Sunday, 23 November.